Chante’ Alexander grew up in Long Island, New York (where she never quite felt like she fit in) until she discovered her love for the creative and performing arts and even landed some roles as an extra in feature films such as ‘Big Daddy’ with Adam Sandler and ‘City by the Sea’ with Robert DeNiro. After graduating high school, she moved to sunny Southern California with her family where she went on to college to study Fashion Design and Marketing and graduated with a Bachelors Degree in Business with a concentration in Marketing. She spent years working in the fashion industry and found a love for styling and helping people feel good about themselves. 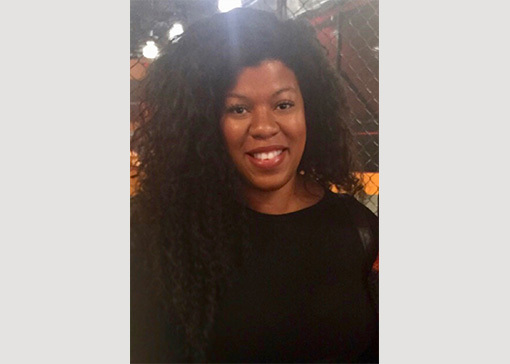 Her passion led to an opportunity to work for a non-profit organization that provided business attire to low-income individuals that helps empower them to interview with dignity and confidence. Chante’ is now a part of the Frogman Media Group team where she is able to express her creativity assisting with Business Development and Social Media Account Management. On her free time, you’ll find her at a nature park exploring with her son or shopping for unique vintage clothing and antique, one-of-a-kind mid-century modern pieces. Fun fact- she can solve a Rubik’s cube!